Location: The Burren in County Clare, Ireland. 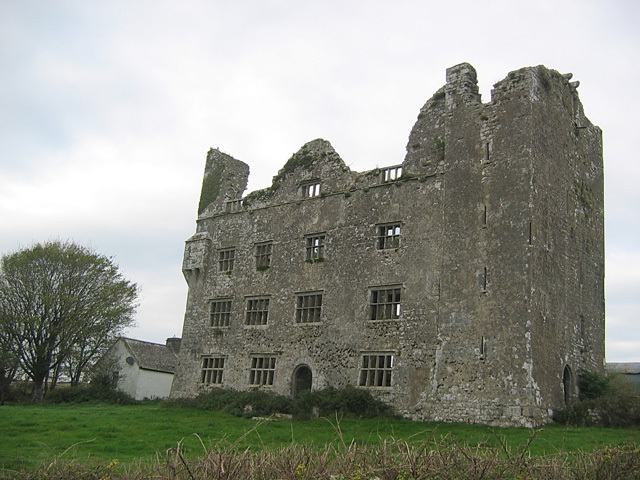 Notes: Leamaneh Castle is a ruined castle located in the townland Leamaneh North, Parish of Kilnaboy, between the Villages of Corofin and Kilfenora in the region known as The Burren in County Clare, Ireland. It consists of a 15th-century tower house and a 17th-century mansion. Today, the ruins include both the tower house and the four walls of the adjoining manor house with their mullioned and transomed windows. Unlike many of the castles in Ireland, Leamaneh is unmaintained. It is located on privately owned land and the area is used for farming. The castle stands on the corner of a three-way intersection in the region known as The Burren.